Beginning this week, Pensacola State College students and staff can enjoy a variety of free, midday Planetarium shows. No tickets are required but attendees must show a current PSC student ID or staff ID to enter. Located in Building 21 on the Pensacola campus, Planetarium doors open 20 minutes before show times. No one is admitted after the show begins. 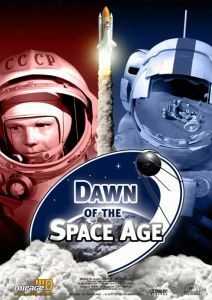 • Wednesday, Sept. 14, at 2 p.m.
• Thursday, Sept. 15, at 10 a.m., 12:30 p.m.; 2 p.m.
“Tales of the Maya Skies” is an audience favorite showing Wednesday, Sept. 28, at 2 p.m.
“Dawn of the Space Age” runs 41 minutes and rekindles the excitement of the early days of space exploration. From the launch of the first artificial satellite Sputnik, to the magnificent lunar landings and privately operated space flights, this full-dome presentation immerses audiences in an accurate, historic reconstruction of man’s first steps into space. “Tales of the Maya Skies” runs 33 minutes and surrounds audiences with the beauty of the “seventh wonder of the modern world,” Mexico’s Chichén Itzá. Hear the story of the ancient Maya civilization and be transported to the jungles of Mexico as the latest 3-D laser scanning and advanced graphic techniques weave together the richness of Maya culture, stories and science. More free midday shows for PSC students and staff are scheduled in October and November. Find details at http://planetarium.pensacolastate.edu/student-shows/. For descriptions of each show, go to http://planetarium.pensacolastate.edu/. For more information, call the PSC Planetarium at 850-484-2188.